Take action on your online job search, resume and image. While it may seem as if you have little say in your part-time job search, you can actually take steps to improve the job search. From crafting a resume that showcases experiences in and out of the workplace as well as interview skills that make a great first impression, the way you prepare and market yourself can give you an element of control. In fact, you can take steps that can impact your job search results for the better. Get started with these tips: 1. Use a part-time job search board. It can be overwhelming to log onto the job board and see the hundreds of thousands of options. You may be able to narrow them down by part-time offerings, but there’s a chance you’ll miss out on opportunities that aren’t filtered correctly. Instead, it’s best to use a job search board that focuses exclusively on part-time jobs. Fastweb offers a part-time job search board that features jobs for high school and college students as well as those with college, Master and even Doctorate degrees who may not need a full-time work schedule. With a job board that exclusively posts part-time jobs, you’re sure to find an opportunity that meets all of your specifications, whether it’s summer, seasonal or continual part-time work. 2. Post your resume online. One way to get noticed is to post your resume online. As employers search for employees that will fit their needs, they may run across your resume. It’s a great way to get your foot in the door, given that an employer can find you versus you pursuing them. It’s also beneficial to you to network online. By posting your resume, you can find potential employers and companies that interest you and reach out. The online job search enables you to have a platform where it’s perfectly normal to connect with someone in a role or company that interests you and to begin a dialogue on part-time opportunities and career paths. 3. Clean up your online social media presence. By putting your resume and any other job search related components online, you need to keep in mind that “all of you” is online – not just the version you want employers to see. With that, it’s important to clean up your social media accounts; or better yet, make them private. 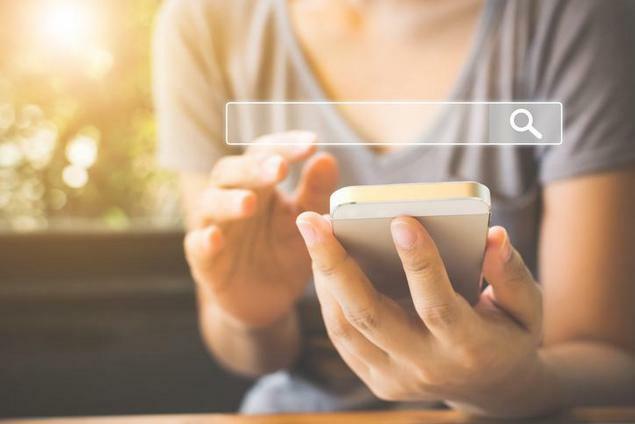 The best way to see how you appear online is to perform a search for your name. You’ll find social media accounts, records and articles. You can also perform an image search on your name. What you want to look for are search results that depict the type of person an employer would want to hire. If you find anything contrary to that image, try to remove it. 4. Act on your search results. Finally, don’t let your part-time job search stop with the results; you must act on them. Take action on your online image in order to present your best self possible to potential employers. Use online job platforms to network with individuals in roles and companies that interest you. When it comes to online job boards, don’t just post your resume and become a bystander. Follow up on jobs that speak to you. Send your resume and cover letter as well as email potential employers if you don’t hear from them within a week. The part-time job search requires you to pursue opportunities, which means you must work to show interest. With more action on your part, you’ll see more return on your job search results – both from a literal and figurative perspective. Make your resume stand out. Try Monster Resume Services for free.